This past December, I saw The Wedding Party 2. I was tired of being seen as all-work-and-no-fun, so I joined a couple of friends for an evening out, which for me has to be capped with a movie to earn the rating of a good outing. We didn’t have to do a voice vote. The choice was unanimous. 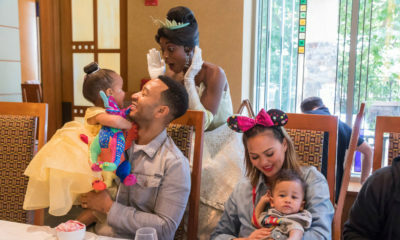 It was of the Mo Abudu-produced movie, starring Nigerian sweethearts and our own version of American entertainment power couple, John Legend and Chrissy Teigen – the Wellingtons, and a few more actors and singers I like. Was the movie worth all the hype and the middle-eastern inspired frocks and red-carpet assemblage that celebrities wore to one of the premieres I saw on TV? Well, I won’t answer that question just yet. What I will do now is make a confession. After seeing The Wedding Party 2, it finally hit me. I totally get Mo Abudu now. For decades, it seemed to me that Nollywood producers have been in a secret competition to see who would make the film with the most babalawo scenes, wizard uncles and white powder that make people die or run mad depending on whether it is blown towards the direction of the victim or put in their food. There’s been too much depiction of witchcraft and sorcery, as well as unrealistic village scenes a lot of city folks and even the so-called village people cannot identify with. I’m not throwing shade here, but even when Nigerians travel overseas in some of the movies I have seen, they are depicted as extremely local cavemen that have no inkling of civilisation or technology. It gets even more worrisome when those who should know better that the constant portrayal of Nigerians as fraudsters and barbaric people is a disservice to our country keep putting money into these movies. Instead of celebrating the very many hardworking and exposed citizens of this country, they churn out a variation of the same script over and over again, just to sell a couple more video CDs and DVDs. Relentlessly, Nkem Owoh is flown to London, America or Brazil where he (and this is the point where it gets excruciatingly painful for me to watch) struggles to flush after himself in a very suburban apartment. Haba guys, is it that hard to use a toilet? Are we that bush? And then, he must get into this grand 419 scheme as if all Nigerians are like that. When a few months ago, the identity of the “Nigerian Prince” was revealed for the whole world to see, I hope they saw the irony in that those scam emails for which Nigerians were notorious, were actually written by a 67-year-old American. Seriously, and going back to the subject, some of these movies haven’t been fair to Nigeria. Tadaaa!!! From daytime talk show queen anchoring Moments with Mo, to owning her own TV station, EbonyLife TV, Ms Abudu is a Nigerian success story. No wonder her portrayal of Nigerians as successful, stupendously wealthy, beautiful, well-travelled, mixed American and European accented, glamorous and suave in her movies and in the contents she creates for her network! If box-office sales are anything to go by, it could be the new normal. Some may argue that the characters in The Wedding Party movies are representative of Mo’s world and not ours, and it’d be a valid argument. Maybe they have a point in feeling that way, but if they are not real enough, they are at least inspirational and feed our aspiration to be rich, clean and well-spoken. And that in itself is a good thing. 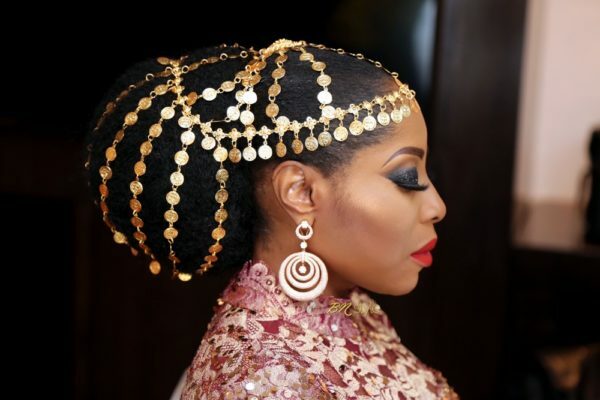 So, I think I finally get Mo Abudu’s point of view – and I like it. 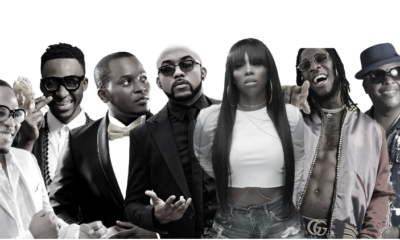 Better to have raper Ikechukwu and Somkele Iyamah falling in love in Dubai (Part 3 loading anybody?) than those babalawos in Ijebu-Ode twisting someone’s destiny. Finally, to my earlier question about the movie: I loved it. Please don’t push for a part 3 before people get really sick of it. Also stop licking Abudu’s boots not everyone agrees with what you’ve said. There’ll most like be a part 3 tho. Ppl that watched 2 said it ended with Ikechukwu and Somkele looking like an item. Yeah, because the babalawo’s now live in the cities…I hear some live large in Lekki. Lol you heard. Nigerians will use their mouths to spread things they hear, that their eyes haven’t seen, whether it’s accurate or not. All the way from Ottawa, Ontario. Well done, Ma! They are still everywhere there? Only that they’ve stepped up now. You don’t watch Africa Magic Epic abi? 152 or so on DSTV if you’re in Naija… You go tire. I always double click the next button on the remote to avoid it. I have some people around me who like the channel like the most interesting thing in the world. They will now sit down and be paying attention. When the pastor is casting out demons and fighting babalawo they will be shouting Amen. They will always have part 2 or 3. These are mostly recent films. I have heard that they make some of them within 2 weeks, so it’s not too early to see a 2018 babalawo film. They are certainly not a thing of the past. A bit stale on your part but well not too late I guess. In the beginning, I was totally all for the new nigerian narrative that Mo Abudu represented, I liked how she wanted to only portray our affluent and exposed side, I was all for her special kind of branding of the Nigerian story. Now I was in Nigeria around when ebony life started, I returned back and found the mess it had become and how even her herself lost the true essence of her message. Now it’s all frills and fakeness with zero content, that is laughable, even on the international scale. We’re not saying show Nigeria in all her woes, but don’t whitewash our reality, it’s like they are constantly trying to prove a point and it reeks of insecurity and slave mentality. ……Don’t even get me started on all the accents, that’s a conversation I will have when January decides to finally pass. And pay people properly. Tear up those slave master like contracts. I agree with you. ELTVs programming has become a joke. Now showing Elena’ ghost (telemundo) that trended years ago and some other older British shows. Thank God for Sons of the caliphate and Lamide’s classic moments. Maybe they should work with you tube channels to get fresh content. Surprisingly Africa magic 154 is almost the same. Deal or no deal from 2006, music on Africa magic for stretches of 2 hours with the same playlist everyday, repeat episodes of jara, hotel majestic, studio 53. Or maybe I should finally quit watching TV. Has it occurred to you that the reason for losing the true essence is because of lack of people SUPPLYING the stories? ELTV provides a platform to showcase African stories, but where are the suppliers? Where are the creatives? And script writers? They are on instagram forming influencers but zero products. @physiotinu, there are lots of suppliers but Africa Magic will not commission them as they challenge the stupid contracts. So they will go to the “veterans” who will take the deal and make ten films back to back not realising that they are crippling the industry by not standing up for what is right. @Blue eyed; you’ve made some very valid and intelligent points. Most people wouldn’t say it was a mediocre movie when they saw part 1.. Part 2 was the eye-opener? But as bad as it was (or as you claimed it was), people still went all out to see it? (Maybe not like Part 1 though). Part 3? Aunty Mo must have seen all the comments. LOL. Eeeeeew. How much were you paid to write this? Please tell your handlers that no, we do NOT want TW3, we’re done. I don’t know if you’ve been in a coma for years, I’m wondering how you jumped from nollywood-2007 to nollywood-2017. And please don’t insult our directors & producers who have spent the last 5-8 years doing the very thing you’re trying to give Mo Abudu credit for. Granted, they lack her funds, exposure and resources, but they’ve been doing the damn thing and making much better movies than TWP. Afenfia pls take several seats. What if this writer was not paid to do this? What if this writer doesn’t have any affiliation whatsoever with Mo? What if this is a way to really let us all voice exactly how you feel? Okay…enough with the ‘what ifs’! Afenfia might just be voicing the uncommon opinion to elicit all your takes. And it seems to be working (cos I am typing this). Have you read his other works here or on his blog? The person who wrote those did not likely just write this for the sake of writing. Think about it. Broa Afenfia, so your strategy worked ooo. Wedding Party 3 is a no-brainer! Part 2 is grrrrrrh! You wrote raper instead of rapper. This write up is so cringe worthy. ??? Oh and by the way it wasn’t a ‘Mo’ production. She is one executive producer out of 4. The script didn’t even come from her studio. She’s just the most popular one out of them all. I stopped reading when I got to the part of ‘Nigeria’ s Chrissy Tiegen (pardon the wrong spelling) …’ Please when will this backward comparisms end? Are we not proud of our own stars? Then we complain of being marginalised. Please lets stop attaching foreign names to our stars. Their names can stand on their own. 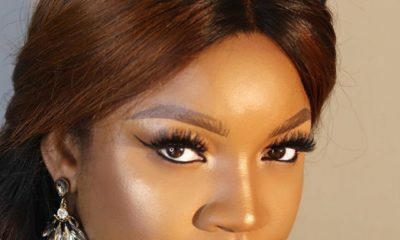 Can we all agree that Nigerian women need to get their makeup on point or totally abandon the idea? Is it just me or did someone else notice that Mo Abudu`s make-up is a tad too heavy? And the bronze look? The idea of make-up to enhance and not to mask. This article most definitely made me cringe . So is it by having an accent that you’ve made it in life. We have our own stories to tell and they don’t need accents. I hate that even British and Americans get work over others because what does that say for the home grown . I really wish we get away from this narrative . I was with you at first about different story lines but you totally lost me with the accents and exposure lines. And this your write up was all over the place. I was excited to read this, I thought you were going to say something new. This is the obvious, can’t believe it took WP2 for you to see this. Nollywood has revamped since and most movies rarely have such scenes. Now if this is good or bad is another discussion. Nonetheless I also like the fact that there still exist a mix of the two. At least it makes one understand that Nigeria is still a work in progress. Let us also know that one of MO ‘s goals is to showcase the affluent sides of Nigeria. This is to slowly erode the notion that Nigeria is bush. For example Chimamanda was asked recently if Nigerians can read. MO seeks to erode these kind of notion of Nigeria. Well I agree with some, the forced accent on some of EL TV shows irritates. Please that TWP2 was a joke compared to part 1. I was shocked at the whole movie,no substance please dont let me start. Dont waste your money pr time but please watch when it is free. Dangerous typo alert!! Ikechukwu the RAPPER oooo!! Plus i find the movies seriously lacking in comedic;rom-com or anything substance. Yeah i said it…come at me! I have seen Hollywood portraying white people as stupid, just to make viewers laugh. Osuofia in London was a comedy (Mr. Bean did worse) You don’t even know much about the entertainment industry, so chill. If every movie goes one way, how do we tell all of our stories? I saw a nollywood short drama highlighting the ills of protistution, it was beautiful.